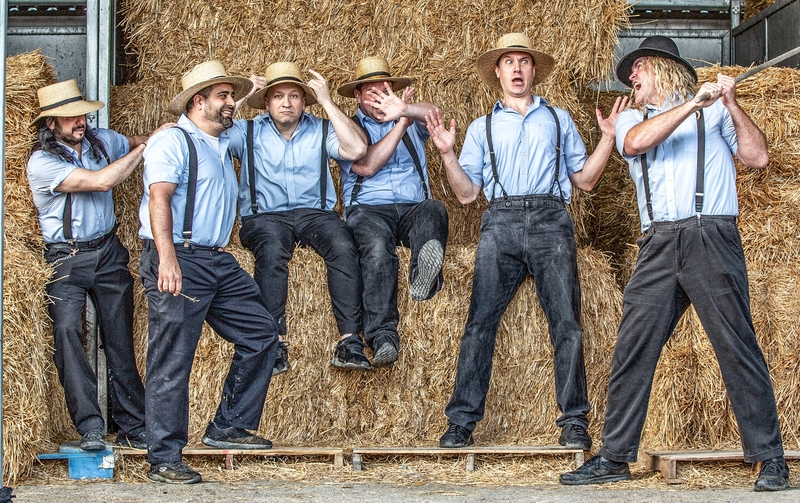 There is no “typical” Amish Outlaws show, but the average crowd can expect to see men in full Amish garb releasing all of their pent up energy with an infectious joy. With a set that is always evolving as the Brothers discover more and more music and culture, The Amish Outlaws constantly surprise the audience and keep them guessing as to what they could possibly play next, from Judas Priest to Jay Z, Neil Diamond to Snopp Dogg and Dr. Dre, Queen and Twisted Sister, to theme songs from the TV shows they have come to know. Throughout, The Outlaws spin yarns about the Brothers’ upbringing and adventures since Rumpsringa. Amish Outlaw gigs are less performances than they are initiations into the life of an Amish Outlaw and parties celebrating the Brothers’ newfound freedom.